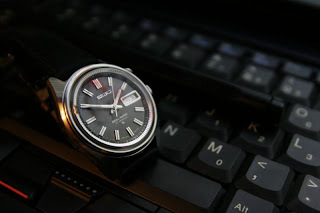 One month ago, I found this watch at internet auction. 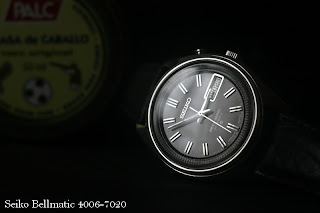 Seller's photos were very poor, and the watch was looking very crappy . 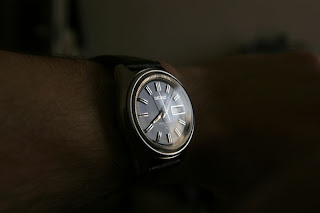 When the watch arrived, I was shocked :) Great condition, like NOS 27j bell-matic with awesome dial! 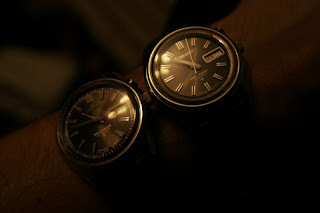 You can see wristshot of this watch compared to my other bellmatic.